Sea, Sand & Sky: Full of Sea life! When I arrived at McDonough Sailing Center yesterday I was expecting to catch the same old green crabs and spider crabs. I was mistaken. When Andrea and myself went out to check our traps in the middle of the bay we were surprised to see that there were two skates in one of the lobster traps! This amazed me because I had never seen one at McDonough, and never had the chance to hold one. Everyone on the boat was squeamish to take them out so I finally got that chance right then and there. Initially I assumed that they were stingrays, but they turned out to be a similar looking harmless cousin. Quick fact: Skates are actually related to sharks! Anyway, needless to say when we returned to the dock every camper within earshot gathered around us. The dock was practically sinking with all of their weight! One of the skates we caught! Another pleasant surprise was when we found out that there were lobsters in the traps despite there not being any bait in them! The lobsters still climb into the trap and get stuck. We didn't get a chance to bait the traps over the weekend so we weren't expecting much to be in the traps. The lobsters were certainly a hit as well. 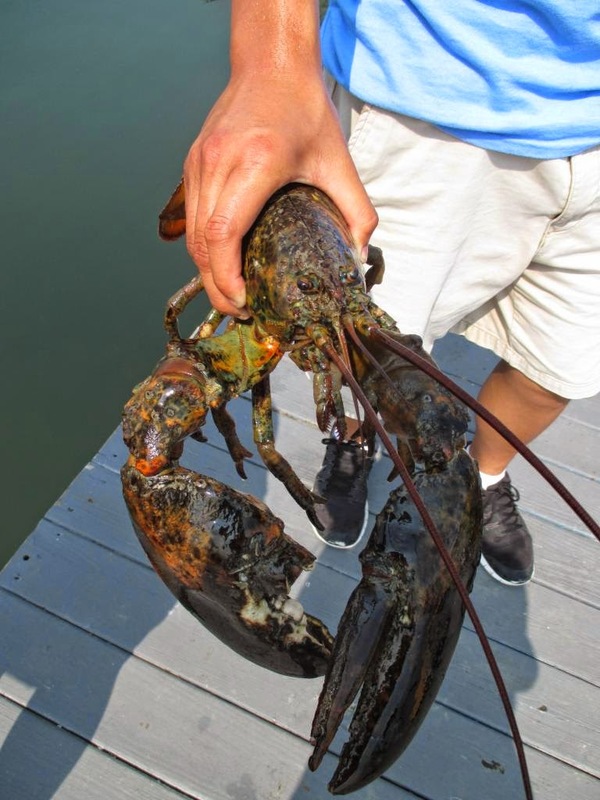 Campers asked us many questions about lobsters; from how to tell the difference between male and female lobsters to how lobsters are able to swim. 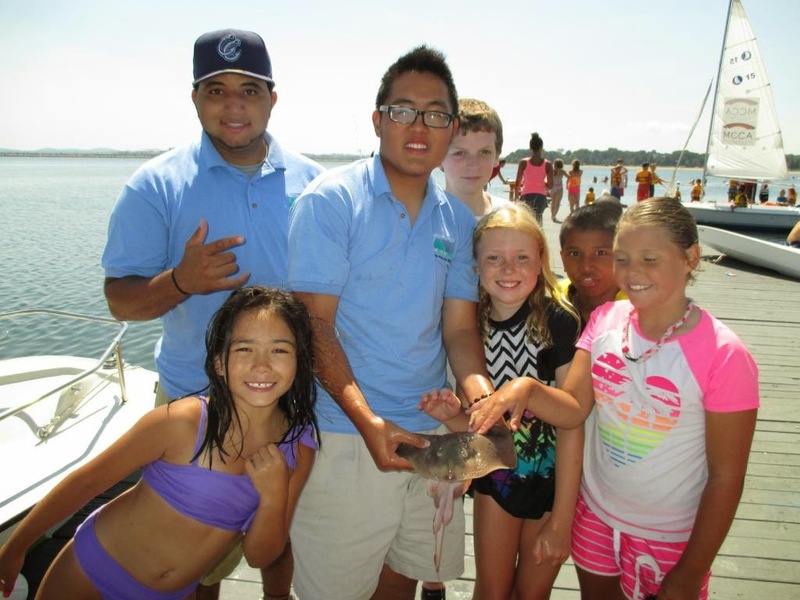 The staff and I had an awesome time sharing our knowledge with the kids and showing them what the harbor has to offer. In our case, the harbor offered us a filling and tantalizing meal!